Last week Vanguard released its report How America Saves 2017. 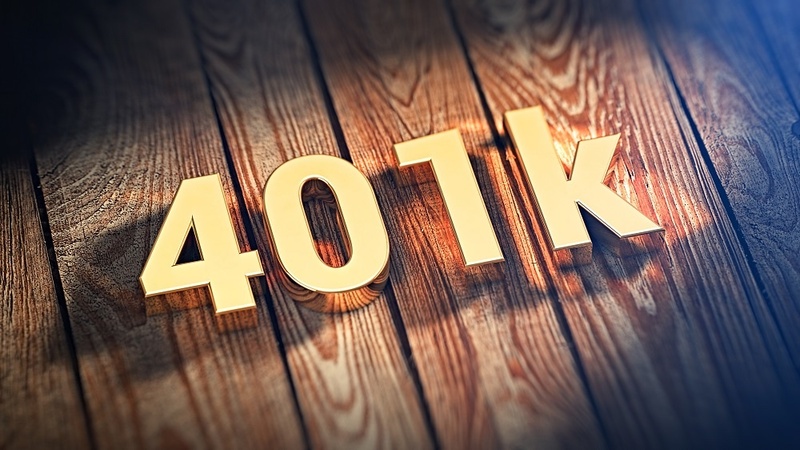 Some of the most interesting pieces of the report centered on data on the increase in automatic 401(k) features such as auto-enrollment and auto-escalation, default investment options and employee contributions. Automatic enrollment, in which employees are automatically enrolled in the retirement plan unless they specifically opt-out, has seen a staggering increase over the last decade. Nearly half (45%) of all plans studied in the report (1900 Vanguard retirement plans) have an auto-enrollment feature, an increase from 41% in 2015. This 45% represents a 300% increase in plan adoption since 2007 when only 15% of plans included this feature. Since many large employers utilize the auto-enrollment feature, the 45% of plans translates into 60% of all participants being enrolled in a plan with an auto-enrollment feature. Auto-enrollment has had the desired effect of increasing plan participation. Plans with auto-enrollment had a 90% participation rate as opposed to the 63% participation rate of plans with elective enrollment, a participation rate that has not changed in a decade. This would seem to be a clear vindication of behavioral finance theories about overcoming our human tendency towards inaction and so it seems that allowing participants to opt-out (auto-enrollment) instead of opt-in (elective enrollment) has greatly improved participation and for most, improved individual participant outcomes. In such a situation, “doing noting” means participating the plan. Of the plans featuring automatic enrollment, two-thirds (67%) also feature auto-escalation, or the annual increase in participant contribution rates. Vanguard refers to this is an “autopilot design” where participants are enrolled, invested in a balanced QDIA with contributions increased each year. Plans featuring auto-enrollment had an average contribution rate of 6.1% versus 6.3% for plans with elective participation. While for 2016, the elective contribution rate had narrowly exceeded the contribution rate for auto-enrollment plans, what is interesting is that the average contribution rate for plans with elective participation has decreased over time (down from 7.3% in 2012) while the contribution rate for plans with auto-enrollment has increased over time (up from 5.1% in 2012). I believe we will see increases in contribution rates continue in the future as more plans auto-enroll participants at a higher contribution rate and more plans include auto-escalation features. For auto-enrollment plans, the most common default contribution is 3% (44% of plans using this rate) however, the second most utilized contribution rate was 6% or more (20% of plans using this rate). For these plans, 97% choose a target-date fund as the default fund. Of plans with auto-escalation, 65% automatically increase contributions by 1%. Who is participating and who is not? Vanguard’s report also shed light on employee participation demographics, data that may not be surprising to many plan advisors. The report showed that lower earning employees were less likely to participate than higher earning employees. Younger employees were also less likely to participate. Of those employees earning less than $30,000, only 65% were participating in the plan. Contrast this with 79% for those with income $50,000-$74,999 and 93% of those employees earning more than $100,000. Only 54% of those under 25 years old participated versus 79% in the median age bracket of 45-54 years old. There was little difference in participation rates between men and women, although factoring in difference in income levels between men and women, women participated at higher rates than men in all age brackets. As would be expected, there were vast differences in participation rates when one compares plans with auto-enrollment against plans with elective enrollment, particularly in demographic groups with lower participation rates. For those earning less than $30,000, only 32% participated when that was an elective decision versus 87% who continued to participate when automatically enrolled. For younger workers under age 25, only 27% participated when this was a voluntary decision versus 85% who participated when they were automatically enrolled. Clearly, auto-enrollment is also a victory for engaging demographic groups that have traditionally not participated in the plan. Different industries also exhibited different participation rates. The “agriculture, mining and construction” industry lead the pack with a whopping 92% participation rate. The lowest rate belonged to the “wholesale and retail trade” industry with only 61% participating. The available data indicates that plans with automatic features are proving a success for plan sponsors looking to enroll participants as well as for participants themselves by helping many overcome inaction and join their employer retirement plan. Automatic enrollment and escalation features seem to be a particularly good solution for engaging lower income earners and younger employees. Advisors can celebrate these successes, but advisor can also increase benefits to plan participants through effective participant education. Advisors who focus on providing understandable and relevant education can help participants increase their contributions and improve their retirement situation even more. Advisors differentiating themselves by offering financial wellness education may see even greater results. Indeed, these are exciting times to be an advisor and play a part in getting America on track for retirement. Advisors looking for tools to help them engage and educate plan participants should consider The Retirement Analysis Kit (TRAK), retirement planning software for advisors. TRAK can quickly generate personalized reports for an entire participant group and have a proven track record of improving participant engagement as well as growing advisor AUM.